A light-duty fire truck in front of the fire department headquarters. 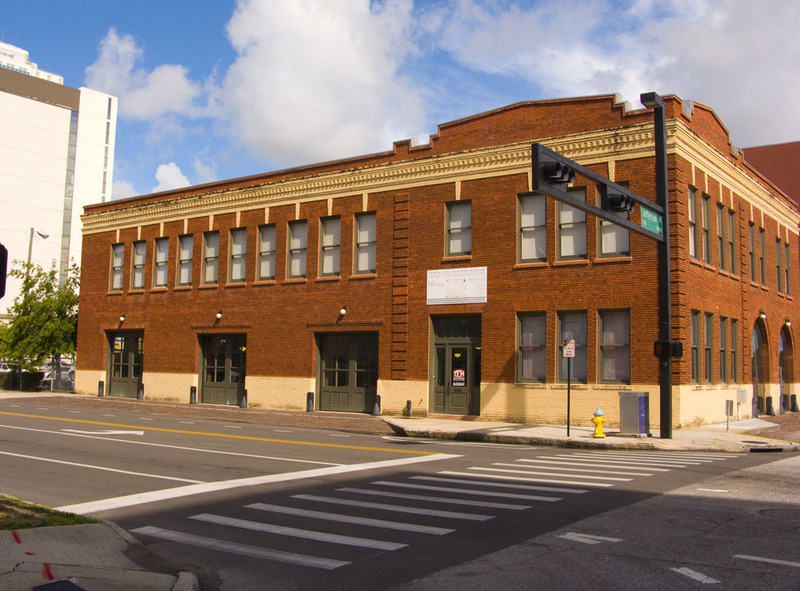 The building has since been renovated and is now home to the Tampa Fire Museum. Bryan, great job again! Nice when you can see that the city has undertaken the task of preserving the full heritage of a structure. You can really see how Zack St. has been widened where the fire truck is parked. I must amend my previous comment. 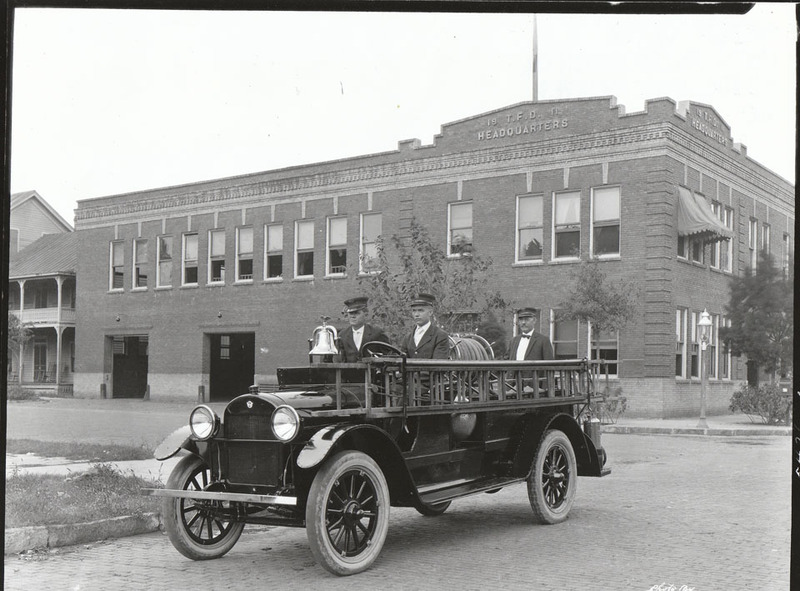 Upon visiting the firefighters museum website, I see that the preservation of the building and creation of the museum was due to the 10-year-long efforts of a handful of citizens, and not the city. glad to see this building well preserved. I pray no future development threatens its life. There are way too many vacant lots in downtown Tampa for that!! If you are in the area, be sure to stop by the Fire Station Museum inside. Admission is free and the displays were designed by Mary Anna Murphy of MAM Exhibit Design who later let me re-photograph some of her photos!